The CMA Foundation partnered with award-winning songwriters Nicolle Galyon and Emily Weisband and country artist Danielle Bradbery to visit schools and surprise students and teachers throughout Kansas last week. Kansas school visits continued Wednesday (Feb. 21) when Galyon and Bradbery surprised students at Galyon’s alma mater Sterling High School to announce several donations to the school’s music program – nine guitars gifted by a donor, along with a drum kit and baby grand piano provided by the CMA Foundation. Galyon also unveiled a brand-new scholarship she is funding in partnership with the Wichita Community Foundation, the Autobiography Scholarship, which will be awarded to a deserving Sterling High School senior beginning this year. The events continued Thursday (Feb. 22) following a performance by Galyon at the Kansas Music Education Association (KMEA) Conference in Wichita. Both Galyon and Bradbery met with KMEA Board members and all-state students prior to a songwriting session with teachers led by Galyon. Festivities concluded Thursday evening at the KMEA President’s Concert during which the CMA Foundation-funded Salina South Middle School guitar class of Salina, Kansas performed under the direction of 2017 CMA Music Teacher of Excellence Matt Gerry. 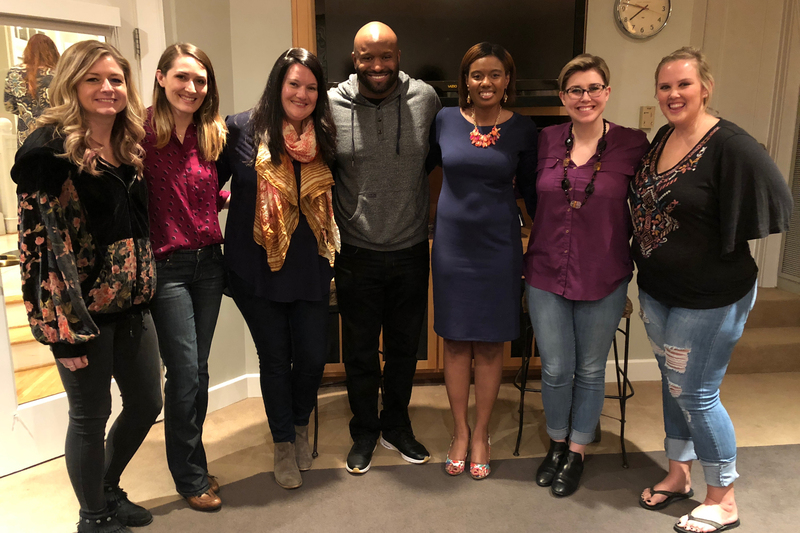 The Women’s Music Business Association (WMBA) recently held its first two membership meetings of 2018 with guest speakers Marcie Allen (President, MAC Presents), Lindsey Clark (Deaton-Flanigen Productions) and Shannon Sanders (producer, Trustee and former President of The Recording Academy Nashville Chapter). The meetings were hosted by NSAI and The Recording Academy Nashville Chapter respectively. “WMBA is grateful to have had Marcie Allen, Lindsey Clark and Shannon Sanders as our kickoff speakers for WMBA’s 2018 Membership Meetings. We are so thankful for their support of women and our organization. This has been such a fantastic way to kickoff what will prove to be the best year yet for WMBA. In addition to that, we are honored and excited to welcome a rockstar group of ladies to the WMBA family and look forward to the rest of 2018!” said Ellen Mundy (WMBA President). 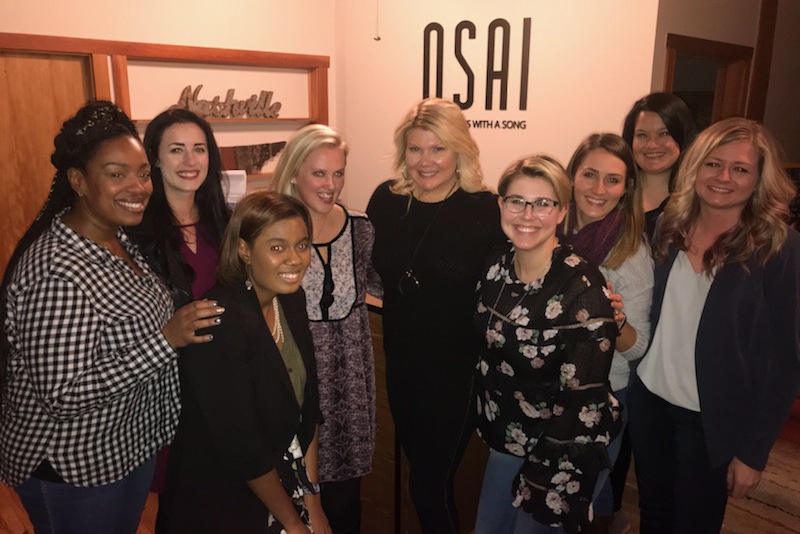 Picttured (L-R): Lauren Simon, Dana Dickie, Mary Larimer, Shannon Sanders, Kortney Toney, Jana Horvath, and Ellen Mundy. Not pictured: Rachael Miller and Charlene Bryant. Christian rock band Newsboys launched their 2018 tour last weekend in California with sold-out shows at City National Civic in San Jose, Redding Civic Auditorium and the Visalia Convention Center, as well as a near-sellout crowd at Stockton’s Bob Hope Theatre. 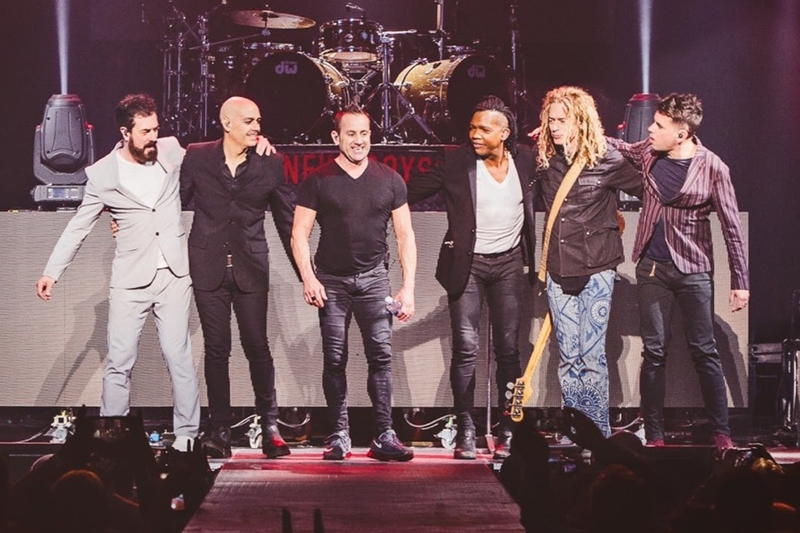 The Newsboys United Tour showcases a headlining set from current members Michael Tait, Duncan Phillips, Jeff Frankenstein and Jody Davis joined by former members Peter Furler and Phil Joel for a string of the most popular hits from the group’s three-decade career. Produced by Premier Productions in partnership with the Newsboys, the tour is set to visit more than 30 additional cities across the nation, including Houston, Minneapolis, Dallas and Orlando, before wrapping May 6.